This title was first published in 2001. 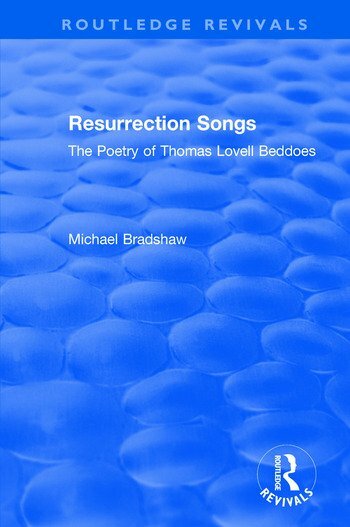 Thomas Lovell Beddoes (1803-49) was a powerful poet of the English Romantic period, who has been and is still strangely neglected by critics. His macabre blank verse dramatic writings and his delicately balanced lyrics have both won ardent admirers such as Browning, Gosse, Pound and Christopher Ricks. Yet there are formal and generic problems in Beddoes's writings which continue to marginalize him as merely an eccentric, and the canon of Romanticism seems to have found no place for him.